Home What Is & How To What Is & How To Be A Nurse? 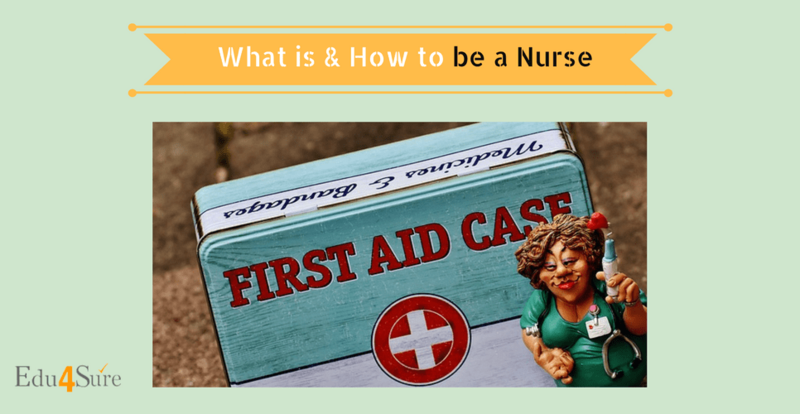 What Is & How To Be A Nurse? What we want to become in our lives is directed by the uniforms we like. As children, we wanted to become a doctor because of the white coat and a stethoscope hanging around the necks. As a result, I always wanted to be a nurse when I was small. Because the white dress and the nurse cap fascinated me. Are you even attracted to the attire of a nurse? It is only when we grow up we take our profession seriously. Since not much information is available in the nursing field because of the lack of groundwork by career counseling platforms. Therefore, this blog post will help you understand how to choose your career as a nurse. Firstly, nurses touch the lives of many. They heal the patient with love and care. They touch work like magic and is the touch of gold. Becoming a Nurse requires compassion and heart filled with care for others. Because not everyone can take care of the ill like their own family. Vo Nurse hi hai Jisne Tumhara Khyaal Rakha Tha Jab Tum Bimaar They and treated you. So let me throw some light on the role of the nurse and the definition of What is a Nurse. Of course, I don’t need a Wikipedia definition to quote because we already know what nurse is. A Nurse is a person providing care to ill and infirm. Nursing is a profession of prevention, assistance, optimization of health and abilities. Prevention of illness, alleviation of suffering through medicines and treatment. Hence it is advocacy of care for individuals, families, and communities. In other words, nurses basically cure ill and injured people. They take care of them by providing medical assistance. Nurses work in different settings hospitals, public health care departments, schools, etc. Educating Patients about their health and conditions. This section will include all that it takes to be a nurse. For instance, the exams you need to clear, the requirements to sit for the exams, the colleges you can take admission and everything in detail that will help you in becoming a nurse. So you just need to spend around half an hour and you will know about the nursing course. I am sure, you can do this much for your career and surely if you want to become a nurse you should be eligible without fail. If you fit in this, you are ready for the next level, the Entrance Exam. You need to take an Entrance Exam named, BSC Nursing. BSC Nursing is a four-year undergraduate regular course. Regulated by INC (Indian Nursing Council) and offered by several universities through their affiliated nursing colleges. 1. Interested candidates can appear for this BSC Nursing Entrance Examination conducted by various state and independent educational bodies to admit students to various teaching colleges. After this, they will alot colleges to you on the basis of your rank. Therefore, try to secure a good rank so that you are admitted to the best nursing college. These exams are conducted in the month of May- June, and results are out by July. The paper is objective type. Also, some colleges give admission on the basis of a percentage of the qualifying class. 2. As this is a Four- year program that you need to study. You go through theoretical training during these four years. You will undergo various aspects of this field. Also, join an internship program with a hospital to get practical training. 3. After the complete four years, you will be awarded the degree in Nursing only if you successfully complete all the four years without any back. Now you are a Nurse to nurse the patients. The college fees vary in Thousands for government colleges to Lakhs for private colleges. Besides, there are other courses opted by students to work in the field of Nursing. There is an Entrance test for this course named GNM Entrance Test. Hence, if you wish to take up GNM, you can sit for the entrance test provided you clear the eligibility. The exam is held in the month of May- June, and results are out by June-July. After completing this 3-1/ 2 along with the practical training and experience. You are qualified to work as an Assistant Nurse. It is a two-year diploma course. It also involves both theoretical and practical training. In addition, the training is mandatory and is covered in these two years. After completing ANM you can get yourself registered with State Nurse Registration Council and work as a healthcare assistant with private or in public health care centers also. You are eligible to pursue M.S.C Nursing only after completing BSC Nursing. M.S.C Nursing is a 2-year program. Involves both theoretical and practical training. Therefore, you get admission into nursing institutes on the basis of the rank secured in the entrance test. Head Nurse (top of the ladder). A person in the nursing profession can get anything between 10,000 -15, 000 increasing up to 30,000 to 40,000. 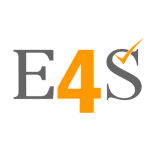 Besides, you can take up private assignments and cure people who need services at the time of recovery or a person suffering from a chronic ailment and charge up to 20,000-25,000 or more depending. Above all, the profession of a Nurse is a noble one. Also, you cannot compensate for the services provided by the nurse with money. The nurse is next to mother. In other words, they sacrifice their lives for the ill and unfit to cure them and make them fit. They do not discriminate on the grounds of caste, creed, color and give the same love and affection to every patient. Must have the ability and confidence to work with less supervision and provide the best of the care. This is the end of the caring journey of the Nursing Field. Previous articleWhat Is & How To Be A Producer? Next articleWhat Is & How To Be a Disc Jockey? What Is & How To Be A Data Scientist? What Is & How To Be An Ethical Hacker? What Is & How To Be An Actuary?